No one ever said that long distance relationship is going to be easy but it is definitely worth it. Long distance relationship is beautiful in its own way. Sometimes, distance do get you closer with your guy. With the right communication and trust, long distance relationship can be stable and full of confidence. Stop worrying about the boundaries, girls and start doing a little adjustment to make this work. Here are some tips that can help you keep your loved one in your life. Long distance relationship requires often visit. Texts and calls are never enough for a relationship to survive. Don’t let your relationship fade by letting the distance take over your relationship. Try hard to meet, and make efforts! More than trust and commitment, face-to-face communication is important, too. Some couples usually let their relationship rely on texts and messages, but there is a huge difference if you two speak over the phone. Video calls have solved the difficulties of a long distance relationship. Make the most of the time! Are you feeling helpless about not being able to go out on a date together? Be on a video call and go out to grab an ice cream. This way you two could feel that you both are on a date. Make it special. Plan such evenings. Do things together. Collect recipes and decide to make them together during video calls. It is fun! The greatest disadvantage of long distance relationships is loneliness. You often feel alone and neglected when your man is not around. But it is okay, even your man feels the same way when he is miles away. Mutually, be supportive and confident in your relationship. Do not let the spark go away! There are so many couples app that let you two play games on the same screen, draw together, watch movies and videos together and much more. This is a fun way to build up some adventure in your relationship. This is a great way of spending time when you two aren’t able to see each other in person. Lets kick away the distance, girls! 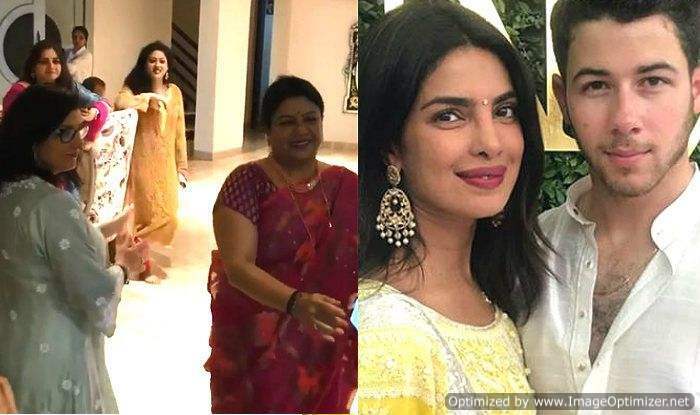 Priyanka Chopra & Nick Jonas’s Mothers Dance To The Tunes Of Punjabi Music! Previous story OPINION: Shahid Kapoor gets trolled AGAIN! But is it justified?